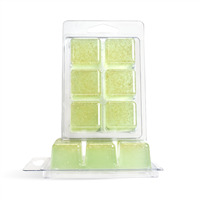 Clamshell melt and pour soap projects are convenient when you need to make a lot of soap quickly. 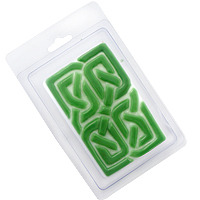 Maybe you need to swiftly create soap for a last-minute craft show, or you have a special event that requires lots of soap! 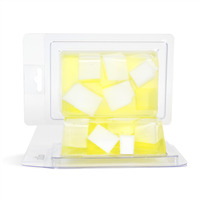 The clamshells serve as your mold and packaging all in one saving you precious time. 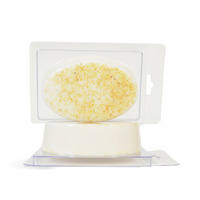 This easy soap kit combines the moisturizing benefits of yogurt powder with the scrubiness of soy scrub. 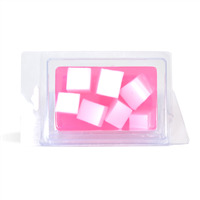 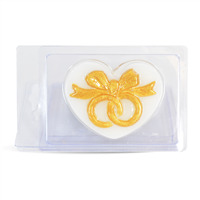 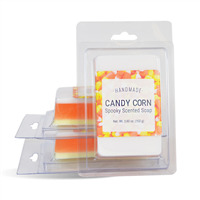 The soap is scented with a classic scent that is sure to be familiar to you!